I am very excited by this first blog post featuring a bountiful basket of goodies. 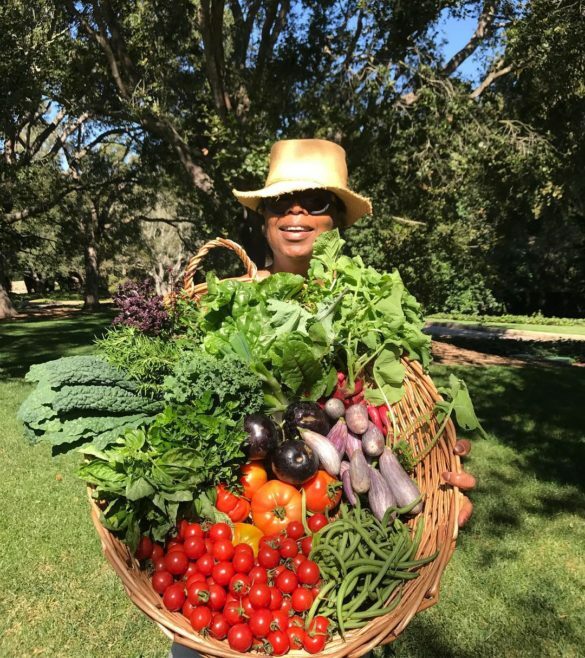 This image picturing Oprah presenting such abundance from the land, is gold to me. I feel very drawn to it, especially as a Black woman who is passionate about gardening. Not only does it visually defeat a spectrum of images in which Black people are shown as dispossessed, but it also highlights an achievable condition- food security and sovereignty for all. While Oprah has many privileges, among them a boundless access to food, to me this picture is a seed of hope for an alternative future of self and communal dietary sufficiency. I believe that it is a fantastic image to kick-off this blog segment accompanying For Us, By Us, a group exhibition featuring works by: Andre Baynes, Lwrds Duniam & Aemilus Milo, Dana Prieto with Chandra Maracle, Rowan Red Sky, and Sheila Sampath. 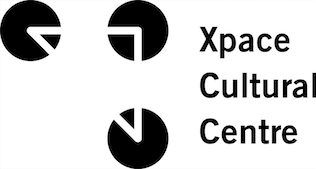 I wish that the forthcoming articles and links will allow for a deeper engagement with the themes of the exhibition, and encourage you to ruminate, reflect, consider, or re-consider the ways in which food holds an important place in moving towards a decolonial future.